The Telangana State Council of Higher Education (TSCHE) was established by the Order of the State Government of Telangana according to the provisions of the AP Reorganization ACT 2014. The Telangana State Council of Higher Education is the highest body of Higher Education of the State Government. It coordinates the University Grants Commission (UGC), the State Government and the Universities. It is the general duty of the Council to determine standards in Higher Education Institutions, Research Institutions, Scientific and Technical Institutions. It streamlines the standards in accordance with the guidelines of University Grants Commission, issued from time to time. The TSCHE envisages three distinct functions (a) Planning and Coordination, (b) Academic Functions and (c) Advisory Functions. The main purpose of Collegiate Education is to promote Higher Education, giving special attention to the Institutes located in backward and rural areas. It aims to strengthen women education at undergraduate and post-graduate levels. It monitors the academic standards of the colleges in the interest of the students. It helps the colleges to improve infrastructure in order to maintain the quality of education. It takes important decisions regarding the academic schedules, budget approvals, academic inspections, training programmes, research provisions etc. It helps the students in their educational pursuits by offering academic guidance and by giving skill based training. 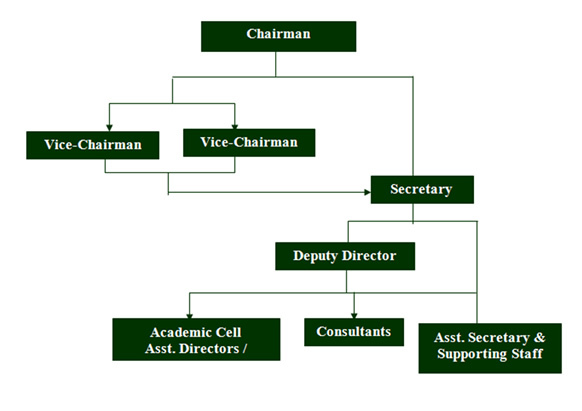 It arranges campus selections for the students through TSKC.